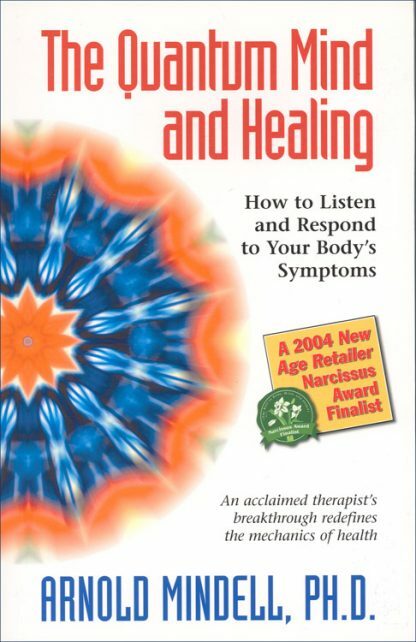 Red Wheel ∕ Weiser Online Bookstore | The Quantum Mind and Healing: How to Listen and Respond to Your Body's Symptoms: An acclaimed therapist's breakthrough redefines the mechanics of health by Arnold Mindell, Ph.D. There is a force underlying all action and circumstance in the universe and you have the ability to tap into this force, interact with it, and use it to heal yourself. This is science talking. Specifically, this is Dr. Arnold Mindell�s new model of medicine based on the mind-blowing findings of a host of quantum physicists--pioneers who are reconfiguring the landscape of our world and belief structure on an almost daily basis. Dr. Mindell is an internationally recognized psychotherapist whose ahead-of-the-curve work led him to found a new school of therapy called Process Oriented Psychology. A graduate of MIT and the Jungian Institute of Zurich, Dr. Mindell is an in-demand speaker at conferences worldwide as well as the author of sixteen previous books. Despite his many achievements, it is not a stretch to say that The Quantum Mind and Healing is quite probably Mindell�s most important and best work yet. In it, Mindell explains that you can use the discoveries of quantum physics to access your body�s own intelligence and self-healing abilities. Embracing both conventional and alternative medicine, he shows that to truly heal you need both medicine and your own natural wisdom. The Quantum Mind and Healing goes well beyond theory, giving you simple techniques, guided exercises, and precise explanations of vital concepts that will enable you to uncover, understand, and eliminate the root causes of even your chronic symptoms and illnesses. With applications beyond physical healing, The Quantum Mind and Healing can also help you overcome long-term emotional and behavioral patterns that may be keeping you from living your greatest potential.